A quick powershell script using the SimpliVity REST API I put together to identify the location of VM primary data and secondary data. Using Powershell and the SimpliVity REST API to compare the configured Virtual Machine SimpliVity Backup Policy with the Datastore Default SimpliVity Backup Policy. Jumbo Frames – Make sure it is setup end-to-end. Jumbo Frames must be configured correctly end-to-end. This means on the vSwitch, vmkernel interfaces, physical switches, and endpoints. The vmkping command can be used to test a vmkernel interface for proper configuration of Jumbo Frames. When performing maintenance, upgrades, etc, on a SimpliVity host it is important to verify SimpliVity VMs are in a safe Storage HA state. A safe Storage HA state, or Storage HA equal to Yes, means the virtual machine’s data is fully synchronized and protected in the SimpliVity cluster. This is a quick script, SVT-Fed-Capactiy.ps1, I put together using Powershell and the SimpliVity REST API to report available, free, and used capacity information for OmniStack Clusters in a SimpliVity Federation, and the OmniStack hosts in each Cluster. I was messing around with PowerCLI and the real-time statistics to collect the IOPS used by virtual machines/virtual machine disks in my my home lab. Virtual disk performance counters are available in the real-time performance stats but at the default statistics level, Level 1, with the IOPS statistics are not rolled up into the daily, weekly, monthly, or yearly statistics. 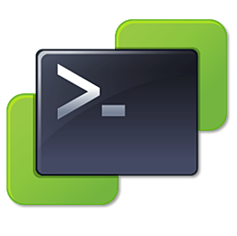 I put together a PowerCLI script, collect-iops.ps1, to collect the real-time samples. The vMA is deployed with a single 3 GB disk with about 1 GB available after deployment. This post walks through adding a disk to the vMA appliance to provide additional storage for scripts, logs, VIBs, iso, backups, etc. There are a number of ways to migrate VM workloads from a legacy infrastructure to SimpliVity. This post provides an overview of two common migration methods which can be used to move VMs from a legacy infrastructure to the SimpliVity DVP. In a two node SimpliVity deployment there is no requirement for 10 GbE switching. 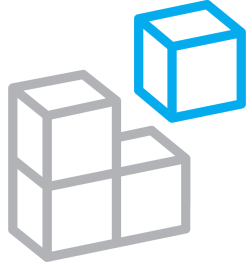 The SimpliVity nodes are directly connected to provide connectivity for the SimpliVity Data Virtualization Platform (DVP) between nodes. As the environment grows adding addition SimpliVity nodes or compute nodes may be required. This requires 10 GbE switching for SimpliVity Storage traffic between SimpliVity nodes within the same datacenter and/or between SimpliVity nodes and compute nodes. In this post I am going to look at the two most common methods: using vMotion to migrate both the storage and running state of the vCenter virtual machine to a SimpliVity host, and using Storage vMotion to move storage and then removing and re-adding the vCenter virtual machine to inventory on a SimpliVity host. The SimpliVity Data Virtualization Platform (DVP) deduplicates, compresses, and optimizes all data, at inception, once and forever, globally. When sizing a SimpliVity environment we take into account the capacity efficiency provided by the SimpliVity DVP, the effective capacity.